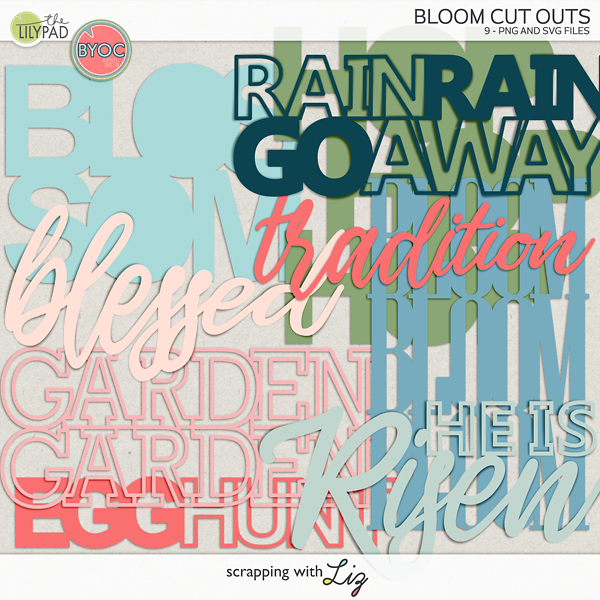 Scrapping with Liz: Week 17: Easter, School, Work & Friends! 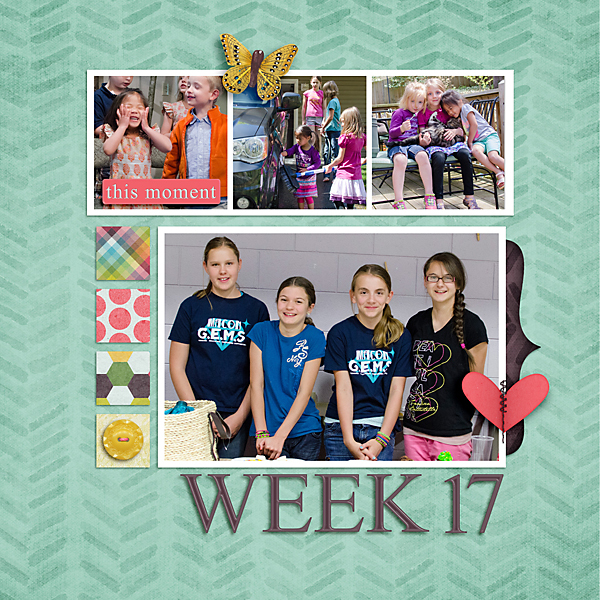 This week was busy: Easter, field day, friends, school, yard work, fund raisers, etc... You can read more about Week 17 below, but before you go here are a few tips for you. Photography Tip: Take a lot of photos of the same thing! When you actually pull your camera out to take a picture you might as well take a bunch, right? It's digital, you aren't wasting film. The more you take the more likely you are to have one that is just perfect. When you are going through your photos at the end of the week just go through and pic out the favorites. Journaling: On Sunday there was an Easter program at our church, and Lydia was the best singer of them all (and quite a show off). We also had dinner and an Easter Egg hunt at Grandma & Grandpa’s house in the evening. On Tuesday we had field day. We had fun even though we got rained out. We had a couple of friends over after co-op on Thursday. I also snapped a pic of Kyla and I studying Spelling Bee words on the porch...typical, me in my running shoes and Kyla holding Lucy Moon. On Saturday we worked in the yard and washed the van. Actually, Daddy paid the girls to wash the van. We just sat back and watched! Saturday night our co-op had a fund raiser to raise money for the hungry. I snapped a pic of Ashlyn and 3 of her friends that helped. I’m so grateful that she has great friends to hang out with...and who are so willing to help. And here's a fun Daily Life Journal Card for you this week. Just click the image to download. And just because it only happens twice a year I'm going to remind you that the Farmer's Market sale is going on at Scrap Orchard. I have over 25 products you can get for $1 each! Now is the perfect time to shop. 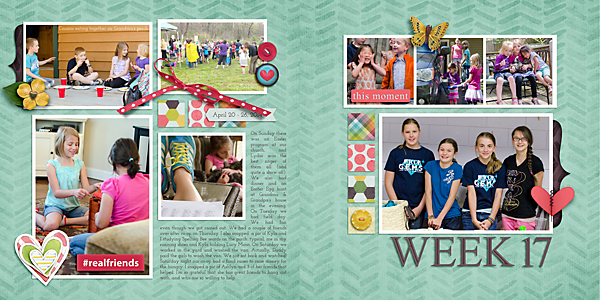 I'm catching up on my blog reading, after the very busy, but fun weekend! 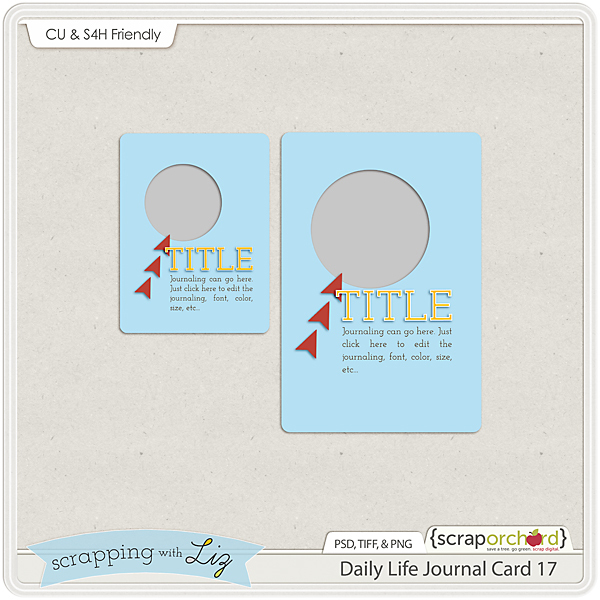 Another terrific JC template - I love the circle cutout! 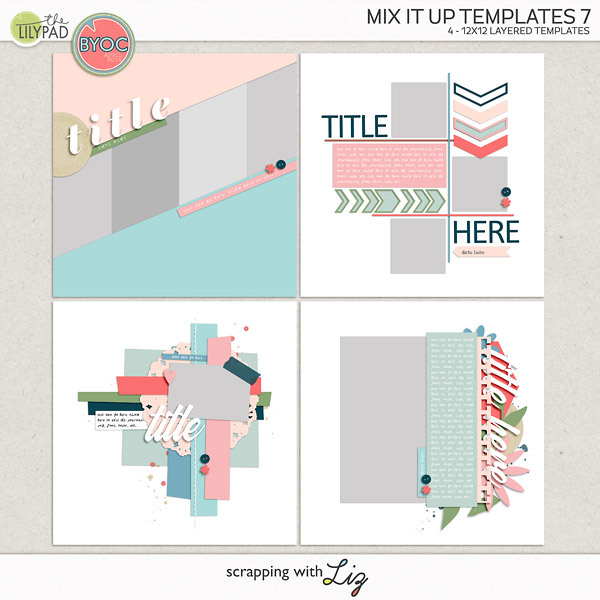 Thank you for sharing, Liz! ... & also for sharing your weekly LOs.